The destruction of the Islamic State in Iraq and Syria (ISIS) is undoubtedly a significant success, but it will not be the end of worldwide Islamist insurgencies. The Islamic State may be eradicated, and ISIS as an organization may be eclipsed, but the forces and mentality it represents within Islam and jihadism—virulent intolerance and murderous hyper-violence targeting the entire world, including any jihadists who disagree with it—will continue to wreak havoc throughout the Middle East, Muslim-majority countries, and the world at large. And while it remains to be seen whether ISIS will be able to recuperate from its defeat, it is not the only jihadist group the world faces. In particular, al-Qaeda, including its nominally independent major affiliate in Syria, Hay'at Tahrir ash-Sham, may turn out to be the greater long-term threat, having survived a massive worldwide campaign to destroy it and having modified its strategy to reflect lessons learned from past mistakes. 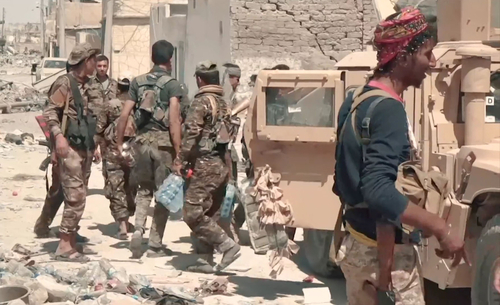 Kurdish-dominated Syrian Democratic Forces in the city of Raqqa, October 2017, following the city's liberation from ISIS. Although many factors have contributed to the defeats of global jihadists, tactics that alienate the local populations, including the killing of Muslims, are a central reason. The destruction of the ISIS polity is but the latest setback inflicted on the forces of global jihad. Al-Qaeda and other jihadist groups have already endured a string of major defeats in Egypt, Algeria, and in the 1990s, in the Balkans. Al-Qaeda, along with its Taliban and other allies, was expelled from Afghanistan in 2001, and its attempted uprising in Saudi Arabia two years later was crushed, with the survivors fleeing to Yemen. The Taliban have regained strength in recent years, not due to anything al-Qaeda has done, but as a result of the weakness of the Afghan government, the duplicity of the Pakistani regime, and the disastrous short-sightedness of President Barack Obama's military drawdown. ISIS's predecessor, the Islamic State of Iraq (ISI), was largely eradicated in the previous round of warfare in that country. Over time, al-Qaeda Central (AQC) has endured serious attrition to its command structure by drone and air strikes and special forces raids, including the loss of Osama bin Laden. In spite of these assaults, the organization has survived. Paradoxically, for an organization originally led by a man from tribal Saudi Arabia, al-Qaeda often ignored the tribal factor, and, in fact, sometimes seemed hostile to tribalism. One of the key reasons the Iraqi Sunni tribes eventually turned against al-Qaeda was because it began to attack tribal interests and leadership and affronted tribal honor. The tipping point may have been when al-Qaeda offshoot ISI took a sheikh's daughters by force to provide wives for its operatives. During the Algerian civil war in the 1990s, jihadist insurgents were extreme even by al-Qaeda's standards, and routinely killed people they defined as un-Islamic for such crimes as not wearing proper Islamic dress or for speaking French. Over time, most of the Algerian population came to support the Algerian government, however reluctantly. So etched have these painful memories been that al-Qaeda in the Islamic Maghreb (AQIM) has largely given up operating in Algeria and has transferred its operations farther south. the Sufi brotherhoods of religious mystics. Further, they like to drink: "They wanted us to pray five times a day. We said we'd rather drink five times a day." Al-Qaeda regarded these practices as un-Islamic at best and pagan at worst and tried to encourage or enforce its own brand of "true Islam," which included destroying ornate mosques inherited from the Ottomans. Consequently, it rapidly lost whatever welcome it had in what one observer described as "trying to grow palm trees in the Balkans." 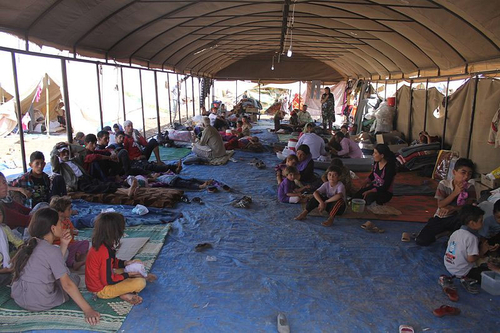 Yazidi Muslims, driven from their homes by ISIS, in a refugee camp. Al-Qaeda, ISIS, and other jihadist groups have routinely shown hostility to local practices they consider un-Islamic. Afghanistan, too, was historically devout but more tolerant in how it practiced Islam. The Taliban and its al-Qaeda allies tried to enforce their preferred practices on an increasingly unwilling population that largely came to consider them an occupying army of bizarre fanatics. Much of the support the Taliban have today stems from the failure of the Afghan government to provide effective governance rather than from the Taliban's religious practices. Next door to Afghanistan, the Pakistani Taliban's practices have frequently been religiously repellent to the more tolerant practices of most Pakistani Muslims. In post-Saddam Iraq, Sunni Arabs, many of whom initially welcomed al-Qaeda's support against the United States and the Shiite-Kurd-dominated government, rapidly turned on the organization when it tried to enforce its brand of Islam. Among the practices it tried to ban were smoking and men selling women's clothing. ISIS has compounded this problem with its even more virulent version of Shari'a, implemented wherever it has ruled: It considers even al-Qaeda's practices, especially the refusal to immediately exterminate Shiite Muslims, to be a betrayal of Islam. Banning smoking has also been an ISIS obsession. Killing Muslims. In the course of their operations, al-Qaeda and other jihadist groups routinely killed Muslims. In fact, they killed far more Muslims than non-Muslims even before ISIS appeared on the scene. Most of this was deliberate killing of innocent victims. This was especially the case in Algeria and Iraq where ISI partially succeeded in triggering a bloody religious war between Shiite and Sunni Muslims. Many of the victims were murdered simply by virtue of being the "wrong" kind of Muslims, or happening to be in the wrong place at the wrong time. ISIS has compounded this malpractice by declaring all Muslims who do not follow its practices as apostates, hence legitimate targets. Killing fellow Muslims has done more than any other factor to alienate Middle East Muslims, who often may have no objections to the killing of non-Muslims, especially Westerners, Israelis, or non-Muslim South Asian Indians. During the past decade, al-Qaeda seemed to be gradually modifying its strategy and tactics. In particular, various al-Qaeda branches sought to collaborate and build alliances with existing Islamic (or even non-Islamic) rebel groups. This has been the case in Afghanistan and Pakistan, Somalia, Yemen, south Asia (where the formation of al-Qaeda in the Islamic Subcontinent, AQIS, may be an effort to partially "Pakistanize" al-Qaeda), and especially Syria, where it formed Hay'at Tahrir ash-Sham. As part of this strategy, it has selectively prioritized local rather than international operations so as to put local faces on its activities, notably in Mali, where the forces joining Jama'at Nusrat al-Islam wa-l-Muslimin (the Group for the Support of Islam and the Muslims) were all al-Qaeda fronts or offshoots. Instead of trying to impose its version of Islam immediately, al-Qaeda has sought to do so gradually, pursuing what might be called jihadization from below by cultivating a base of support and ultimately building a mass movement. By way of doing so, the group has been more selective or less indiscriminate in targeting jihadist attacks. At times, when dealing with situations where local government structures have collapsed, it has tried to set up ruling institutions and enforce order, especially in parts of Yemen, Somalia, and Syria. In Syria, Hay'at Tahrir ash-Sham has assumed control of courts and law enforcement, leaving other administrative tasks to other groups. Valdet Gashi, a German kickboxing world champion, became an ISIS recruiter. His activities illustrate the worldwide reach of jihadism, which has now become the dominant ideology of rebellion in the Muslim world. For these reasons, and especially in comparison to ISIS, al-Qaeda (or its fronts) has come to be considered an organization of "moderate" extremists, particularly in Syria, especially when it is the only group that can plausibly provide other factions with protection from ISIS. This has the potential to make al-Qaeda appear less foreign in the various places it operates and significantly reduce the reasons for its past loss of popular support. These adaptations could give al-Qaeda a new lease on life and increase the threat it poses to the West and the rest of the world. To whatever degree al-Qaeda has learned from its mistakes and modified its strategy, the group's recent adaptations make it more dangerous—and potentially more successful. This will be the case especially if it continues to adapt and exploit situations in the Muslim world to regain support. This could happen for at least three reasons. Partially healing the splits within global jihad. At present, global jihad is split into at least three major tendencies. The first is ISIS, a hyper-jihadist tendency so extreme in its interpretation of Islam that it considers nearly all Muslims in the world to be apostates and therefore deserving of death. Additionally, ISIS wants to reestablish the caliphate as rapidly as possible. The second is what might be called international jihadism, such as al-Qaeda, which favors "offensive jihad" or immediately attacking the "far enemy"—meaning the West. International jihadism is somewhat more flexible in its imposition of Islamic law and practices and views establishing the caliphate as a long-term goal. The third might be called nationalist jihadism, as in much of Syria, which allegedly endeavors to enforce the Shari'a only in its own state. This third interpretation has frequently distanced itself from al-Qaeda because it disagreed with the group's priorities, considering the costs of confrontation with the West to exceed its potential gains and viewing its targeting of Muslims as a major mistake. The recent changes in al-Qaeda's strategy and tactics move it significantly in the direction of the nationalist jihadists, which increases the risk that it will gain their support. Tapping into latent support for global jihad. The dismal reality is that global jihad is not going to disappear after the demise of the Islamic State. As demonstrated by ISIS's ability to draw recruits from around the world, jihadism is now a worldwide phenomenon and has become the dominant ideology of rebellion in the Muslim world. Until bin Laden started attacking targets in Saudi Arabia, he had widespread tolerance and considerable sympathy among the kingdom's population. One 2003 poll reported that nearly half of polled Saudis supported his views, though only 5 percent wished him to rule the country. He may also have had support within the Saudi government and royal family. Although al-Qaeda lost most of that support when it attacked local targets, this does not necessarily mean that sympathy for jihadism has waned. Unfortunately, it is reasonable to assume latent sympathy exists and can potentially be harnessed by a more sophisticated or more selectively bloodthirsty organization. 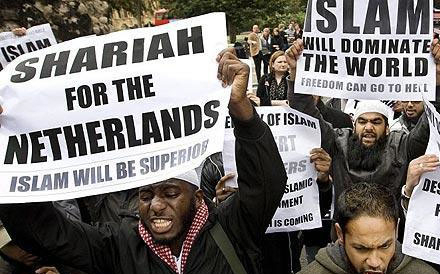 In 2001, Daniel Pipes estimated that 10-15 percent of Muslims worldwide sympathized with the radical interpretation of Islam as a totalitarian ideology. Pipes subsequently defined an Islamist as one who favors the application of the Shari'a in its entirety and supports a caliph as the worldwide authority. This definition may be too narrow as it seems to exclude those Muslims who believe in the ultraorthodox Wahhabi interpretation of Islam as well as radical Salafists, who believe that the model for proper governance and functioning of a society is that established by the prophet Muhammad and his four immediate successors, the "Rightly-Guided" caliphs. excommunicate Muslims they disagree with—and the claim that much of the Islamic world has become so religiously debased that it has reverted to jahiliya, a state of pre-Islamic ignorance. But jihadists still share much with the rest of radical Islam. In particular, they share many of the beliefs and practices of the Wahhabi interpretation of Islam, the religious doctrine of the Saudi kingdom, a creed the Saudis have spent enormous amounts of money spreading throughout the world. Some sources claim that as many as 80 percent of the mosques built in the United States in 1984-2004 were funded with Saudi money. The militant ideology of the prominent Muslim Brotherhood ideologue Sayyid Qutb (1906-66) also remains influential. Although disowned by the Brotherhood leadership, his ideology is embraced by jihadists. Only other Muslims can destroy those roots, and so far they have shown little sign of success in doing so. It should also be noted that much of what the West has labeled "moderate" Islam, notably the Muslim Brotherhood, is moderate only in relative terms and is more correctly labeled "currently nonviolent radical Islam." In the past, Western observers have defined as "moderate" any Muslim who did not use violence, which obviously sets the bar far too low. Nonviolent radical Islam is still radical Islam. It accepts the need for purification of the Islamic faith, and, like jihadist ideology, considers Islam the basis for programs of religious, social, and political revival and often, implicitly or explicitly, revolution. As a result, nonviolent radical Muslims continue to be dictators-in-waiting, aiming to replace the existing autocracies in the region with theocracies. They also share much of the same narrative and psychology as jihadists, a toxic mix of victimization, frustrated ambitions (frequently combined with delusions of grandeur), virulent anti-Semitism, deeply illiberal views of society (especially about the role of women), and a conspiratorial view of the world. Part of the induction process for the Muslim Brotherhood includes indoctrination on "the [Western-Zionist-Masonic] conspiracy against Islam." Nonviolent radical Muslims generally share with jihadists the beliefs that Western influence is malign and that the West is at war with Islam. In particular, they generally share with jihadists the beliefs that Western influence is malign and that the West is at war with Islam. Where they have diverged from al-Qaeda is that they support, or at least accept, "defensive" rather "offensive" jihad. This distinction means that attacking Western interests in Muslim territory is largely acceptable but attacking the West itself is not. However, the definition of "defensive" jihad can be very flexible and expansive, comprising protection from anything radicals do not like (e.g., attacking France if it bans headscarves). A change in al-Qaeda's tactics to emphasize "defensive" jihad and minimize the killing of Muslim civilians will make the group much more palatable to these people. Beyond this is the potential for support from people in the Middle East and Muslims at large. Much of the past support for al-Qaeda grew from the view that it was standing up to or punishing the United States. The degree to which al-Qaeda and others lost this support was due to their own errors. Still, hostility to the United States has not gone away; it has just separated itself from al-Qaeda. This hostility still exists and is potentially recoverable by the more sophisticated or the more selectively bloodthirsty groups, not least since it is rooted in the frustration, rage, and malignance with which much of the Muslim Middle East views the international system and the region's situation and position in it. Huge numbers of Muslims, and not just in the Middle East, look at the world with a primordial sense of grievance and a profound sense of resentment with Washington widely viewed as a predatory power out for oil and control at best and as a cosmically evil power at war with Islam at worst. differences with other jihadists, especially with the so-called "nationalists" who claim to want Muslim religious rule in their disparate states. Changes could, moreover, ameliorate the conflict between jihadists and the rest of radical Islam which, for all its theological differences with the jihadists, could claim that together they are resisting the common enemies of the Islamic world. These changes will also tap into the deep reserves of popular hostility against the United States and the West; are much less likely to provoke a counter-reaction from Middle Eastern governments and populations; and are much more likely to pass religious muster by Muslim clerical authorities since the result can be presented as a "defensive jihad." The ultimate danger is that such a group could, like Hezbollah in Lebanon, grow into a movement that could dominate a state. Thomas R. McCabe is a retired Defense Department analyst and a retired U.S. Air Force reserve lieutenant colonel who worked ten years as a Middle East military analyst and two years as a counterterrorism analyst. This article represents solely his opinion. Mark Wilbanks and Efraim Karsh, "How the 'Sons of Iraq' Stabilized Iraq," Middle East Quarterly, Fall 2010, pp. 57-70; John A. McCary, "The Anbar Awakening: An Alliance of Incentives," The Washington Quarterly, Jan. 2009, pp. 43-60. Marie Colvin, "Sunni Sheikhs Turn Their Sights from US Forces to Al-Qaeda," The Sunday Times (London), Sept. 9, 2007. Dario Cristiani, "Ten Years of al-Qaeda in the Islamic Maghreb: Evolution and Prospects," Terrorism Monitor, Jamestown Foundation, Washington, D.C., May 5, 2017. Evan F. Kohlmann, Al-Qaida's Jihad in Europe: The Afghan-Bosnian Network (London: Bloomsbury Academic, 2005), p. 106. Waleed Ziad, "In Pakistan, Islam Needs Democracy," The New York Times, Feb. 16, 2008; The Washington Post, May 10, 2009. See, for example, "The Rafidah: From Ibn Saba to the Dajjal," Dabiq Magazine, Jan. 2016, pp. 32-45; Abu Jarir ash-Shamili, "Al-Qaeda of Waziristan," Dabiq Magazine, Dec. 2014, pp. 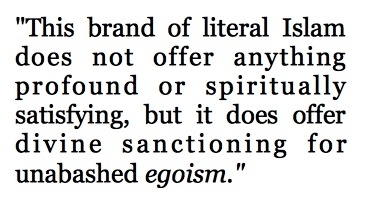 40-55; "In the Words of the Enemy," Dabiq Magazine, July 2015, pp. 66-69. Rikke Haugegaard, "Sharia as 'Desert Business': Understanding the Links between Criminal Networks and Jihadism in Northern Mali," Stability: International Journal of Security and Development (Kitchener, Ont., Can. ), June 13, 2017. Lauren McNally and Marvin G. Weinbaum, "A Resilient Al-Qaeda in Afghanistan and Pakistan," Policy Focus 2016-18, Middle East Institute, Washington, D.C., Aug. 2016. Michael Horton, "Reclaiming Lost Ground in Somalia: The Enduring Threat of Al-Shabab," Terrorism Monitor, Jamestown Foundation, Washington, D.C., July 28, 2017. Michael Horton, "Fighting the Long War: The Evolution of al-Qa'ida in the Arabian Peninsula," CTC Sentinel, Combating Terrorism Center, Westpoint, Jan. 23, 2017. Anne Stenersen, "Al-Qa'ida's Comeback in Afghanistan and Its Implications," CTC Sentinel, Sept. 7, 2016. Aymenn al-Tamimi, "The Formation of Hay'at Tahrir ash-Sham and Wider Tensions in the Syrian Insurgency," CTC Sentinel, Feb. 22, 2017. Thomas Joscelyn, "Analysis: Al Qaeda groups reorganize in West Africa," Long War Journal, (Washington, D.C.), Mar. 13, 2017. Yasir Abbas, "How Al Qaeda Is Winning in Syria," War on the Rocks (Washington, D.C.), May 10, 2016; Charles Lister, "Al-Qa'ida Plays a Long Game in Syria," CTC Sentinel, Sept. 11, 2015; Jean-Philippe Remy, "Yemen, al-Qaeda's Laboratory for 'Invisible' Relaunch," Le Monde (Paris), Aug. 28, 2017; Haugegaard, "Sharia as 'Desert Business'"; Horton, "Reclaiming Lost Ground in Somalia." Katherine Zimmerman, "AQAP: A Resurgent Threat," CTC Sentinel, Sept. 11, 2015. Tricia Bacon, "This is why al-Shabab won't be going away anytime soon," The Washington Post, July 6, 2017. Samuel Heller, "The Governance Strategy of Jabhat al-Nusra and Jabhat Fath ash-Sham," in Zelin, ed., How al-Qaeda Survived Drones, Uprisings, and the Islamic State. Tamimi, "The Formation of Hay'at Tahrir ash-Sham." Alex Schmid, "Public Opinion Survey: Data to Measure Sympathy and Support for Islamist Terrorism: A Look at Muslim Opinions on al-Qaeda and IS," International Centre for Counter-Terrorism, The Hague, Feb. 2017, p. 25. "Concerns about Islamic Extremism on the Rise in the Middle East," Pew Research Center, Washington, D.C., July 1, 2014; "U.S. Muslims Concerned about Their Place in Society, but Continue to Believe in the American Dream," Pew Research Center, July 26, 2017. "Muslim Americans: No Signs of Growth in Alienation or Support for Extremism," Pew Research Center, Washington, D.C., Aug. 2011. Russell Berman and Arno Tausch, "Support for Terrorism in Muslim Majority Countries and Implications for Immigration Policies in the West," Institute for National Security Studies, Tel Aviv, Apr. 2017; Giulio Meotti, "ISIS in Europe: How Deep Is the "Gray Zone?" Gatestone Institute, New York, Apr. 4, 2016. Daniel Pipes, "Protecting Muslims while Rooting out Islamists," The Daily Telegraph (London), Sept. 14, 2001. Daniel Pipes, "How Many Islamists?" Middle East Forum, updated Sept. 23, 2016. Salim Mansur, "ISIS, Saudi Arabia, Iran, and the West," Gatestone Institute, New York, June 14, 2015. See Khadija Khan "Hero Imams," Gatestone Institute, New York, July 24, 2017; Edward Yeranian, "Egypt's Top Islamic Scholars Work to Promote Moderate Vision of Islam," Voice of America News, Aug. 22, 2017. Chairman of the Joint Chiefs of Staff, "National Military Strategic Plan for the War on Terrorism," Washington, D.C., Jan. 2006, p. 3. Husain Haqqani, "The Rage of Moderate Islam," Foreign Policy, Oct. 28, 2009; Thomas R. McCabe, "The Muslim Middle East: Is There a Democratic Alternative?" Orbis, Summer 2007, pp. 479-94. Daniel Byman and Jennifer Williams, "Jihadism's Global Civil War," The National Interest, Mar.-Apr. 2015, pp. 10-18. Charles Lister, "Al-Qaeda's Turning against Its Syrian Affiliate," Middle East Institute, Washington, D.C., May 18, 2017.